Jetpack, of course, was ahead of the game. 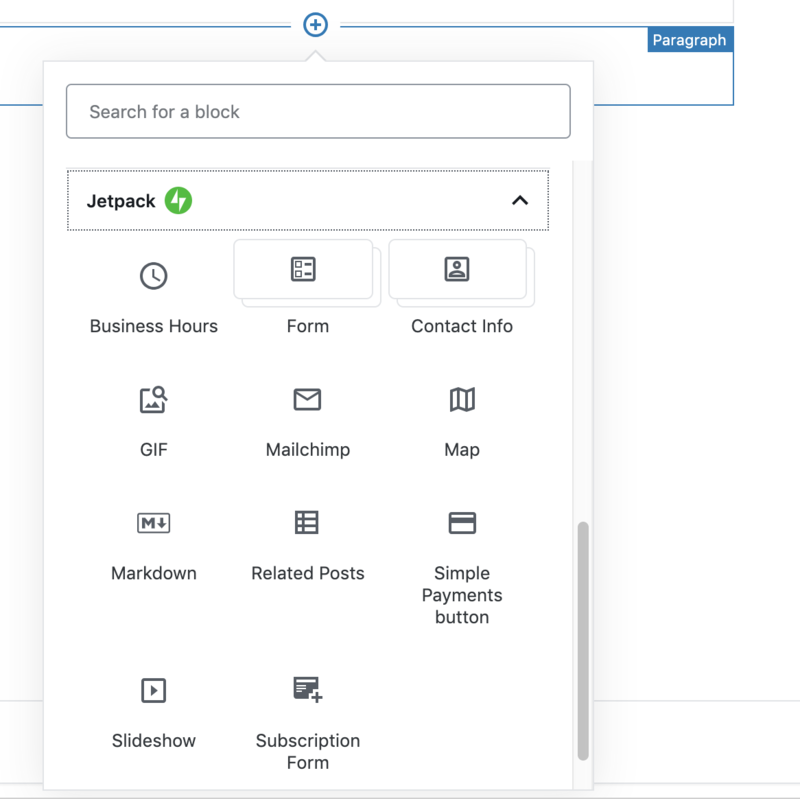 Jetpack adds a bunch of special, powerful blocks to Gutenberg that it's easy to see how useful they can be. 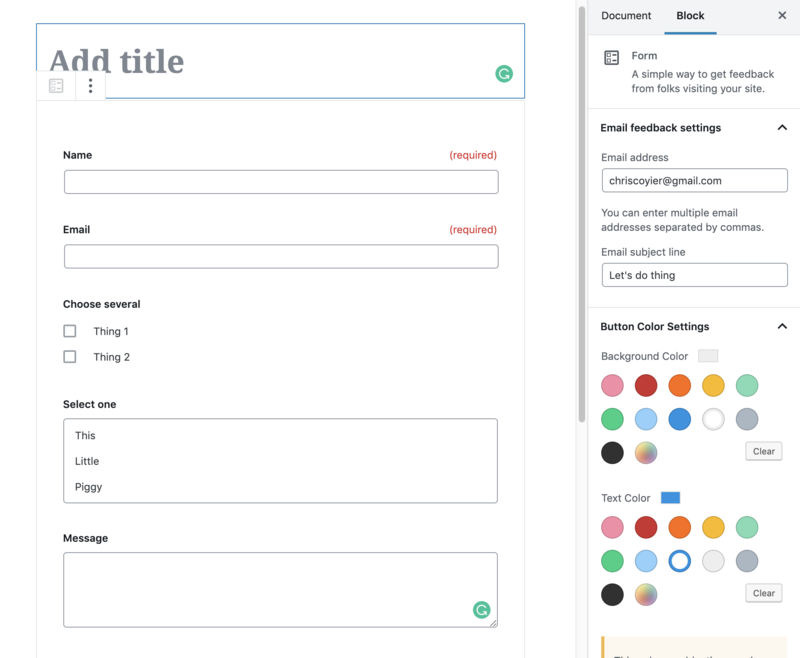 The form widget, I hear, is the most popular. Jetpack has always enabled Markdown support for WordPress, so it's nice that there is a Markdown widget! 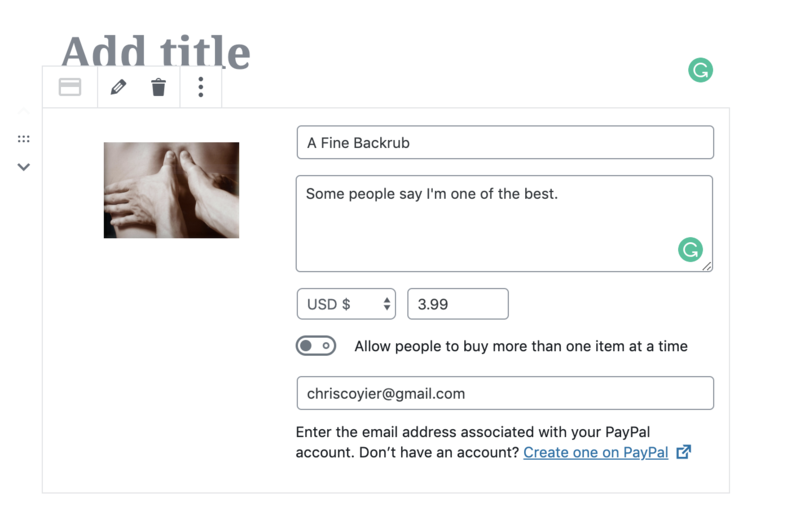 There is even basic eCommerce blocks, which I just love as you can imagine how empowering that could be for some folks. You can read more about Jetpack-specific Gutenberg blocks in their releases that went out for 6.8 and 6.9. Here at CSS-Tricks, we use a bunch of Jetpack features.